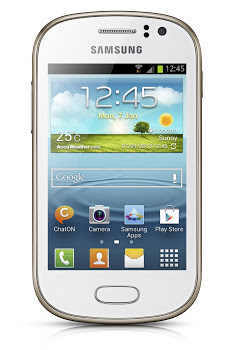 Samsung announces two new entry level smartphones called the Galaxy Young and Galaxy Fame. These two newbies is set to for lower-end market with capable features for the youth just like the older Galaxy Y.
Galaxy Young is a bumped up Galaxy Mini that is frame in a 3.27-inch screen with 480 x 320p resolution. It sports a legit 1GHz CPU and 768MB of RAM to cater all your multi-tasking needs. Internal memory goes with the standard 4GB with an expandable option. If you're on the go, the 3MP camera and VGA video recording. Android 4.1 (Jelly Bean) will also come out of the box. Modesty aside, the 1300 mAh battery will keep you on the go for an ample of time. The Galaxy Fame comes in a bigger package. It's 3.5-inch screen will also sport a 480 x 320p resolution. What makes it different from the Young? 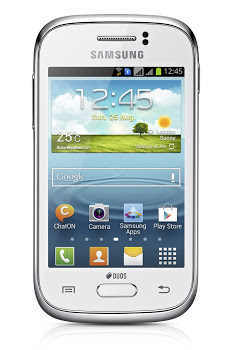 Its auto-focus capable 5MP camera will give delight to mobile snappers. RAM will however trimmed down to 512MB but it has NFC aside from the standard Bluetooth, WiFi and GPS radios. Pricing and availability is scarce at the moment. But I'll fill you up once Samsung gives us deets.